We caught up with MA Painting student Dalia Atteya on her practice, how she got involved in her solo exhibition at the Egyptian Cultural Bureau, and her advice to new Wimbledon students. I was an Audit Manager for HSBC in Egypt before I came to London. But art has been my passion since I was little and I decided to follow my passion. I took several art classes in Egypt and practiced everyday. I then decided to make a career change and obtain a professional degree, and that is when I came to London. My practice is about flowers; my paintings are not an artistic representation of botanical life it is rather about the flower itself. For me, flowers are not still life, but rather living beings, hence, they may encounter the same experiences that we encounter and that is what I try to show the viewer. 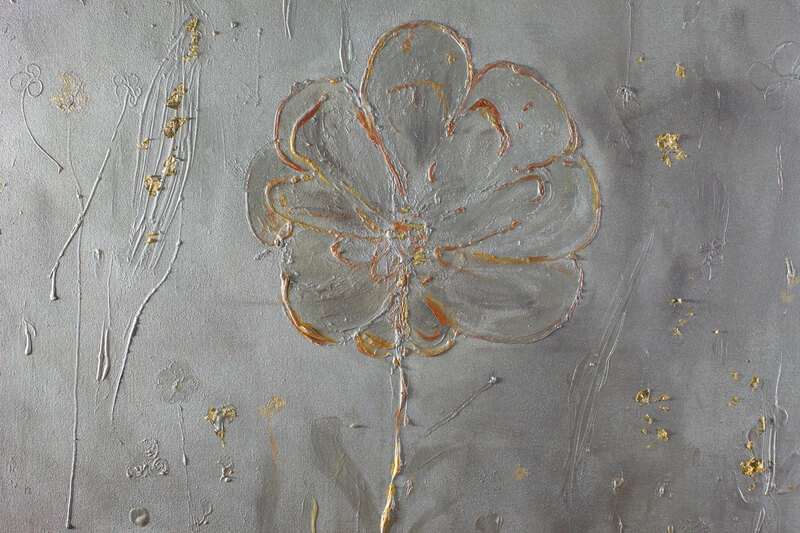 Therefore, in my paintings, I magnify the parts of the flower that are of interest to me. For example, the reproductive parts, or the way petals meet and part. I use oil colours and paint either on canvas, linen or board. My works also vary between paintings, miniatures and 3D objects. What or who inspires / influences your work? My first influence was Dr. Taher Abdel Azim, my tutor in Egypt. When I came to London I got to learn about many artists from across the globe. 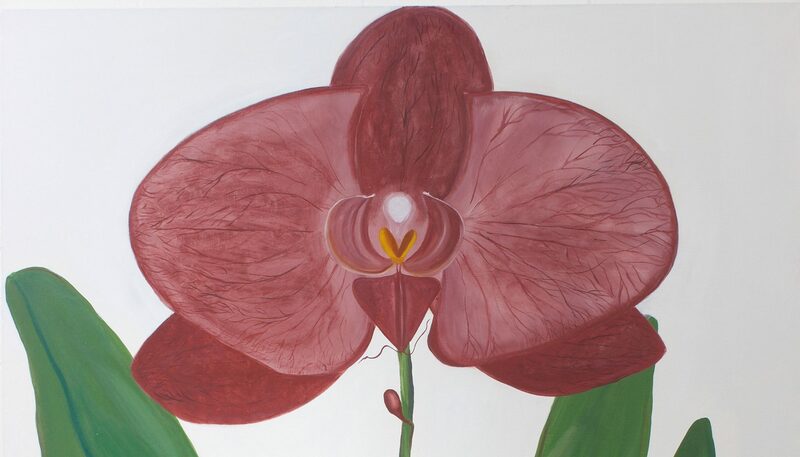 Georgia O’Keeffe’s work is the first influence that inspired me to make my flower paintings. There are others like David Hockney and Peter Doig, each one has an influence either on my choice of colour or technique. How has your practice developed during your time on MA Painting? I became capable of taking risks in my work, painting in large-scale, used materials that I never used before. Do you use any of our workshops to produce your work? If so which and how have they helped you? Of course, the wood workshop was my second home! Peter, the technician is the one I dealt with the most, and he was very understanding of our needs as students, very cooperative and efficient. What do you see as your greatest achievements during the course? Two big milestones actually: during the course I was lucky to hold my first solo exhibition in the Egyptian Educational and Cultural Bureau in London. Also, the Women of Egypt magazine featured my story and talked about the upcoming degree show, which is coupled with the other exhibition Unframed. Tell me a little bit about that and how you got involved in your solo exhibition at the Egyptian Cultural Bureau, London? Friends told me that they have been to an exhibition at the Egyptian Cultural Bureau, and suggested that I try my luck. So I contacted the counsellor office and booked an appointment with Dr. Reem Bahgat. Dr. Reem is a friendly and supportive lady; she met with me and asked to see my portfolio. I had it prepared and showed it to her, once she saw it; she said “we would be happy to hold your exhibition”. The exhibition was held on the 7 of July and lasted for 5 days. What made you want to study MA Painting at Wimbledon? Two reasons actually, I read about the course online and realised that it would help me to become a professional artist. Also, the international community that the college hosts provides the chance for students to develop their international networks. What have you enjoyed most about MA Painting? On the study level, being able to stretch my capabilities and challenge myself to be more creative. Also, trips to galleries and artists’ studios, being able to talk with them and see their work in progress is inspiring and pushes you to challenge yourself like they do. On the personal level, here I met the kindest of people and I made new friends from other countries, we have plans to work together, and it will become the first international network for each of us that we are building together. Do you have any advice for anyone starting a course here at Wimbledon? Make the most of your time on the course, paint everyday, don’t dismiss an idea, the weirdest idea could be the greatest, seek advice from tutors and colleagues and don’t be shy to ask. Socialise and try to get noticed and be visible. Push yourself to your limits everyday, so you can reach your potential. Paint. Paint. Paint. Take risks, if your painting isn’t working, leave it. The more you produce work, the more you excel and by the end the year, you will find that you have a body of work that can cater for a solo show. Be friendly and cooperative, those little things leave the greatest impressions and people will consider you for future projects. What’s next? What work / projects / exhibitions etc have you got coming up? At the moment, I am taking part in two exhibitions coming up, the Wimbledon MA Summer Show, and another one that runs along the side, Unframed. Unframed is a collection of works responding to the British Museum archives.